A traditional timber frame home’s building process, and the experiences had from that process are different for every party involved, whether it is the homeowner, the designer, or the builder. 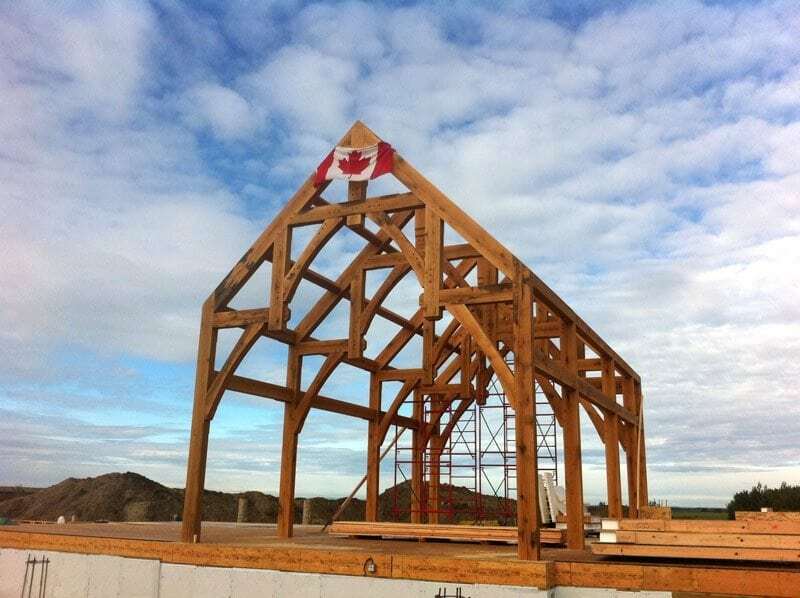 Today we spoke with Jason Beamish, the owner of Beam Craft Timber Framing and a longtime partner with Riverbend, to tell us his perspective on the building process of timber homes. You have quite a bit of experience building Riverbend Homes, how does this process start for you? Jason: It all starts when I begin a dialogue with interested couples who have found Riverbend through their website, a magazine or an actual Beam Craft referral. After answering general questions about Riverbend’s custom design and building processes, I will schedule a site meeting with the client if they are interested. I also try to arrange a tour of a completed or under construction Riverbend home so they can really get a feel of how these processes play out. If the client decides to move forward, we have them sign a design agreement with Riverbend and they move into the design phase of their project. In my experience, from design to completion, the entire process can take anywhere from 3 months to 3 years. It is a big decision for people to transition from the dreaming stage to actually building that dream home, as it requires an investment of time, money, and emotion. We understand this investment that is being made and that these Riverbend clients are extending a high level of trust to us, so it can take some time to establish. What is your favorite part of working with Riverbend? Jason: Our favorite part of working with Riverbend is being able to be part of a team that creates unique homes which showcase traditional timber framing. These homes we build are like giant jigsaw puzzles, and every part and piece is important to us – from design and engineering details, to raising celebration BBQ’s and panel sealant. There are a lot of people and specialists that we interact with to make these projects come together and Riverbend has always proven to be a good company to partner with. What is your favorite part of building timber homes for Riverbend’s various clients? Jason: At Beam Craft, our absolute favorite part about doing what we do, is seeing people’s excitement about their dream home grow as every step starts to bring it to life. What has been one of your most challenging experiences working with Riverbend? Jason: We had a project we were building in Priddis that presented quite a few site challenges. Building in Alberta’s winter months, we ran into several snowstorms that at times made it impossible to reach the site, which naturally makes it difficult to build. What has been one of your most rewarding experiences, and why? Jason: There are actually several rewarding experiences to be had working with Riverbend and these families. 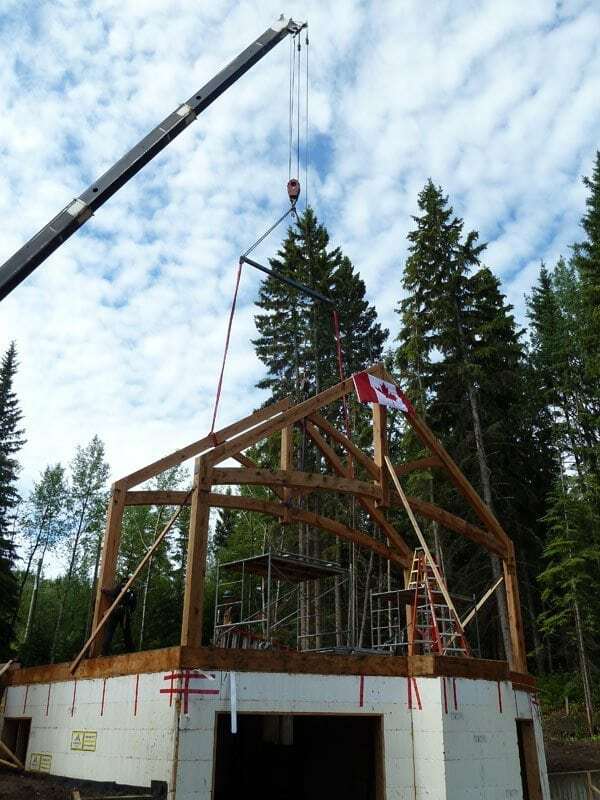 For instance, it is always an amazing sight to see timber frame raisings like the massive oak hammer beams that we put up in Grande Prairie in 2012. Whenever the owners are excited and engaged in their project, it makes it a very special and educative experience for us as well.